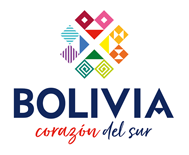 At Peru Hop and Bolivia Hop we are fortunate enough to work and live in two of the most beautiful countries in the world. However, Peru and Bolivia have their share of problems – in Peru almost 25% of the population live below the world poverty line and in Bolivia this figure is more than 60%. We are keen to make a difference. Through providing many local jobs, engaging in commerce and encouraging travel, we are making a small contribution to improve the economies in which we operate. Beyond this we support small charities that really need the help. We encourage passengers who are interested in volunteering to contact these charities directly in order to arrange placements. Unlike many volunteering opportunities in South America, you do not have to pay in order to make a contribution! It is said a person can be robbed of their land, their home, and the clothes on their back but nobody can rob a person of their education. Education changes lives. 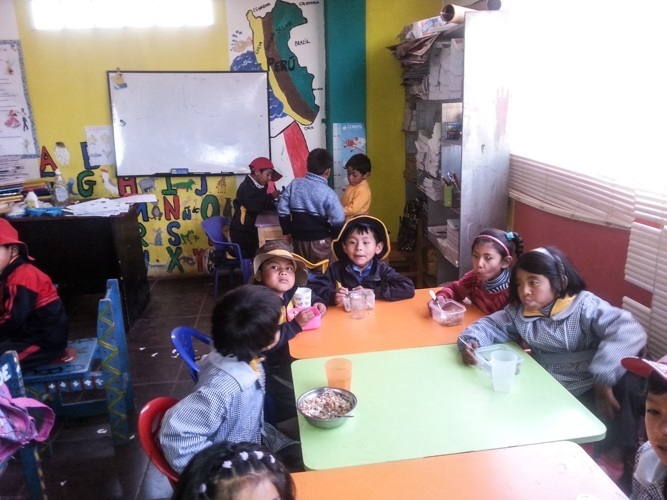 We support Helping Hands Cusco (NGO) which is helping to change lives right here in Peru. Helping Hands works to improve the living standards, of underprivileged children, families and community members of Patron San Sebastian. 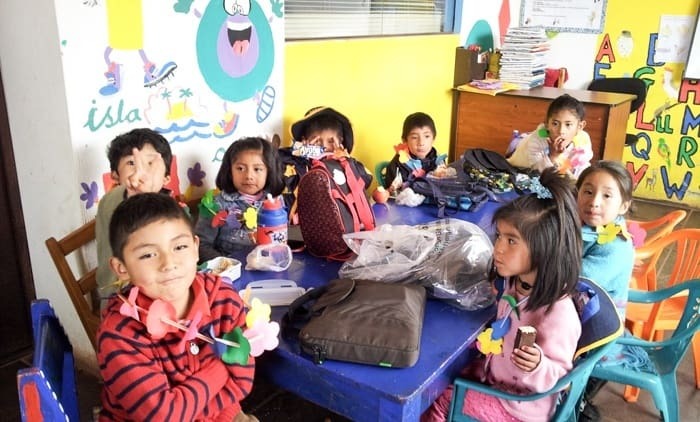 The main goal is to provide quality and accessible education and after-school activities for underprivileged children through the school San Gabriel. Anyone can make a donation at any of our offices to Helping Hands; donations can be monetary, school supplies (pens, paper, books, paints, etc.) clothes, footwear etc. Help Them HOPE (HOPE) is a civil association created in 2009 by fellow Irishman John Whelan. While volunteering in Peru, John became aware of the lack of opportunities for youth with disabilities. Through his desire to improve resources and support these individuals, HOPE grew into a non-profit that provides resources, support, and programs to youth with disabilities in order for them to achieve their educational, career, and independent living goals. Anyone can make a donation at any of our offices to Help Them Hope; donations can be monetary, clothes, footwear etc. or you can engage through spreading the word of their work via Facebook, Twitter and other social media. ALL CLOTHES OR PERSONAL BELONGINGS LEFT BEHIND ON OUR BUSES ARE STORED FOR 6 WEEKS BEFORE BEING DONATED TO OUR CHARITY PARTNERS.